In recent years Alex Woolf has been recognized as a rising star: he won the BBC Composer of the Year in 2012 and came to wider media attention in 2018 with his ‘NHS Symphony’. He has also written for Sir James Galway and the London Symphony Orchestra. Woolf studied at St John’s, graduating in 2016 with a double First. While at College he sang in St John’s Voices, and he has retained a strong interest in choral music, with some twenty works for this genre in his catalogue. 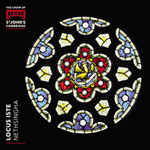 O vos omnes (2016) was written for the Choir of St John’s, and the text can be traced back to the Book of Lamentations, where it appears as part of a lament for the destruction of Jerusalem. It is usually encountered today in the context of the Tenebrae Responsories for Holy Saturday. The text has been set many times, perhaps most famously by Vittoria (twice) and Gesualdo. Woolf’s scoring of the motet, for men’s voices only, captures some of the darkness associated with the text’s history. The music contrasts passages of imitation with, at times, knotty harmonic writing. Particularly striking, however, is Woolf ’s decision to preserve pure F major harmony for the words ‘Si est dolor’; rarely can pain have been expressed so cogently through pure harmony. Is it nothing to you, all ye that pass by? Behold, and see if there be any sorrow like unto my sorrow.